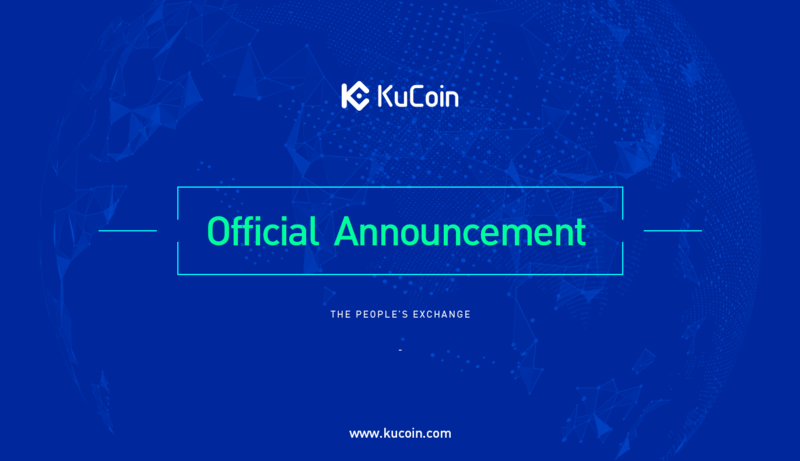 On April 10, 2019, at 11:00 AM (UTC+8), KuCoin will be performing a system maintenance. The maintenance process is expected to last around 30 minutes. During this period, users who are logged in on the website will be forced to log out. After that, users can simply log back in as normal. And some services such as trading on the platform will be temporarily affected.